Tune in to Single Wives Radio as Koereyelle and V give you the latest in celebrity and relationship news! We have a very special guest joining us in the studio today! 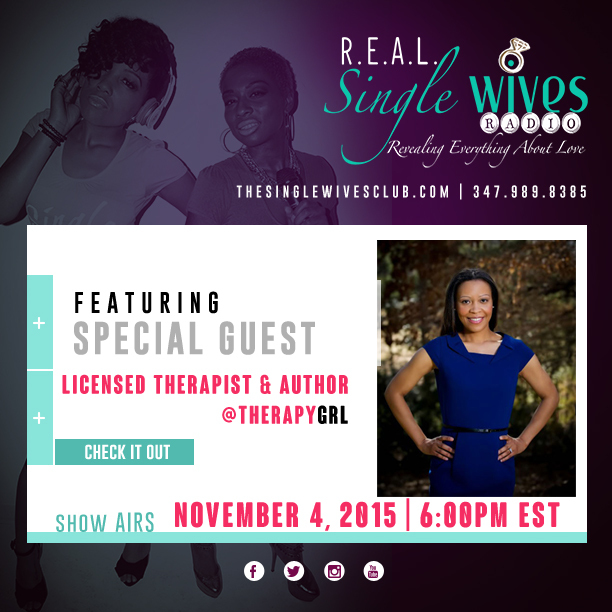 First, we’ll chat with Marriage & Family Therapist and Author Shaneka McClarty! Then, we’re getting into the mind of a man with Dr. Kervin J Smith at 6:45pm. Join us for a conversation on the latest and greatest in life and love.